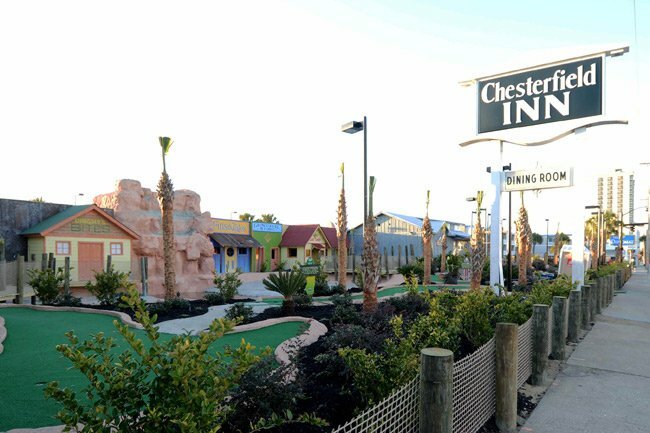 It’s hard to imagine that a Colonial Revival hotel once stood where this colorful mini golf course now attracts Myrtle Beach vacationers. Yet from 1936 until 2011, the Chesterfield Inn welcomed travelers to the popular beach town with top-notch accommodations, including beachfront access and formal dining. The original hotel was a pre-existing five-room frame house purchased in 1936 by Steven C. Chapman of Chesterfield, the inn’s namesake town. When the house burned in the early 1940s, it was replaced by a three-story building of brick veneer in 1946; an additional building was added in 1965. Though the hotel weathered Hurricane Hazel, which destroyed many Grand Strand properties in 1954, the Chesterfield Inn could not withstand the high rise hotel boom that began in the later part of the twentieth century. The hotel had remained with the Chapmans for decades and become a beloved landmark under their ownership; however, the hotel would take a new direction in the twenty-first century. 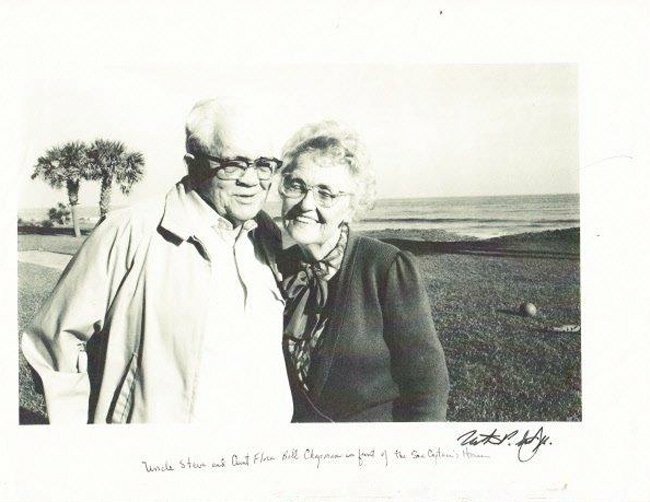 When Karon Mitchell purchased the inn in 2002, she realized that the hotel market at Myrtle Beach had radically changed since its heyday in the 1950s when the Chesterfield Inn was the headquarters for the Miss South Carolina pageant. 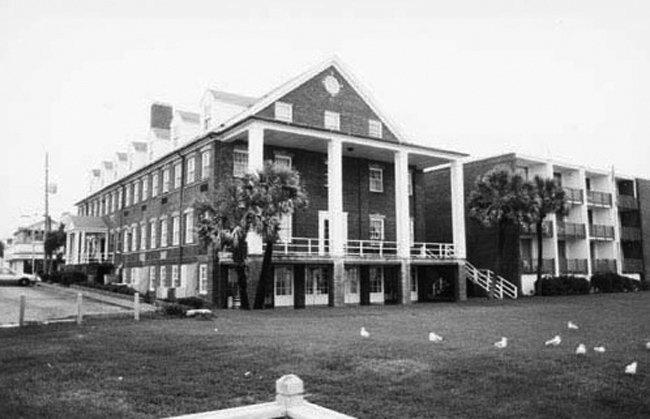 In her estimation, people expected amenities that the historic three-story inn was unable to provide, including ocean vistas from towering balconies. With plans to convert the property into a mini golf park and restaurant, Karon razed the hotel in 2012. She opened Shark Attack Adventure Golf and the Hammerhead Restaurant in 2013, using elements of the former inn, such as bricks, flooring, and the hotel’s sign, in the new business. Shark Attack Adventure Golf is Myrtle Beach’s only beachfront mini golf attraction and boasts a 36-hole course. The Chesterfield Inn is significant for its association with Myrtle Beach’s period of growth and prosperity as a coastal community resort from 1926 to 1954; as an excellent representative example of the motels/hotels commonly built in Myrtle Beach in the mid-twentieth century; and as an unusual example of Colonial Revival style architecture in the Myrtle Beach area. It was one of a number of these small-scale, family owned businesses built during this time to accommodate the increasing tourism trade resulting from Myrtle Beach’s rising popularity as a vacation destination. The Chesterfield Inn has been owned and operated by members of the same family for over fifty years. The Chesterfield Inn consists of two three-story buildings constructed in 1946 and 1965 respectively (the 1965 building is not included in the nomination). The 1946 building is of frame construction with a brick veneer exterior. It has a rectangular plan, end to front gable roof, and a raised basement foundation. Listed in the National Register November 7, 1996. The Chesterfield Inn has since been demolished. Removed from the National Register October 23, 2013. Was there in May 1957 on weekend pass from Basic Training at Ft. Jackson. Was the large billboard for the Band Organ directly behind the inn, or do I remember the wrong inn? It is a sad thing that this inn was not preserved in a way to honor the family that ran it. It is also sad that a better way for the Chesterfield to survive wasn’t taken on by the community. Since then the golf course has failed, no surprise. The Chesterfield would have made an awesome assisted living area for the elderly. It is too bad people in charge of history don’t preserve it. Thank you.